Welcome to the Brown Lab! 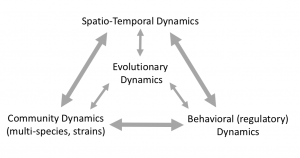 We study the multi-scale dynamics of infectious disease. Our goal is to improve the treatment and control of infectious diseases, through a multi-scale understanding of microbial interactions.